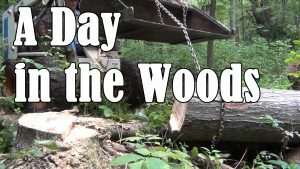 After removing distressed trees from the forest a couple of times, we have enough logs to have a sawyer with a portable Wood-Mizer band sawmill spend the day milling them up into boards. 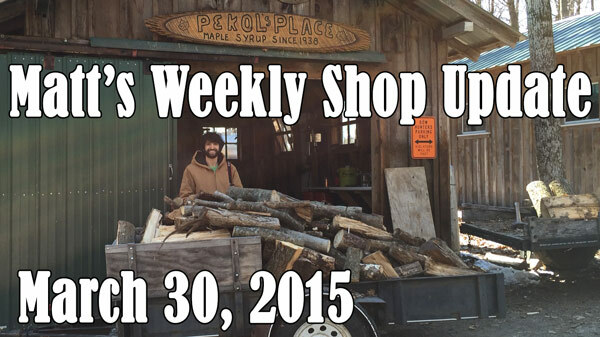 This was the longest we have ever sawed for in a single day. We went from 8am until 8:30pm with just an hour break for lunch. 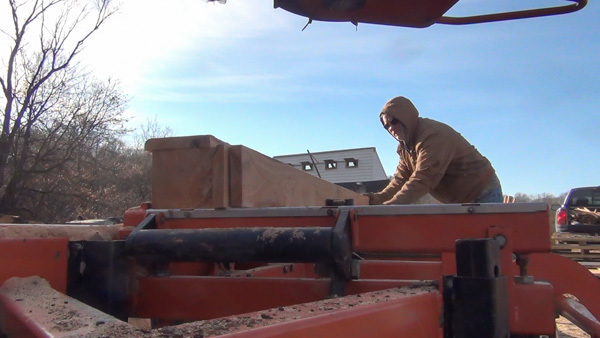 We had 2 stacks of logs: one stack was all cherry, and the other was a mix of ash, maple, box elder, and some more cherry. 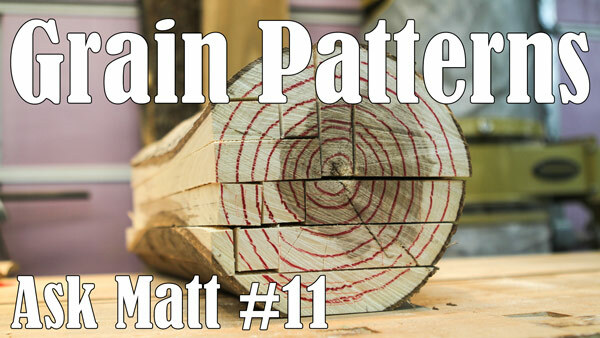 There were around 60 logs when we started and we ended up with about 10 left. 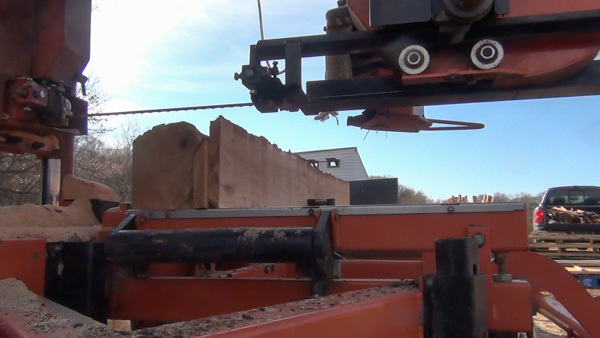 The hydraulic lift on the mill makes it really easy to get a log onto the deck. 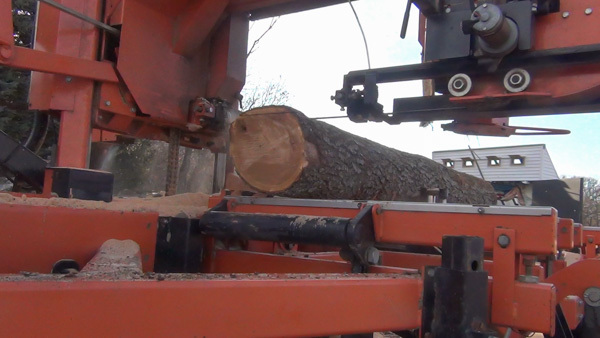 Once it’s up there the hydraulic clamp clamps the log in place against the side supports.The goal of these first cuts is to turn the log into a cant which is essentially a beam. 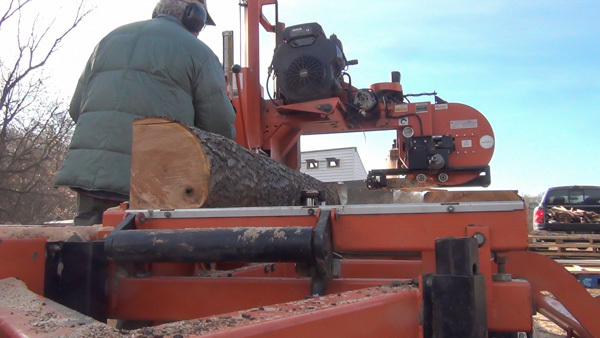 The first cut starts the process of removing the roundness of the log. 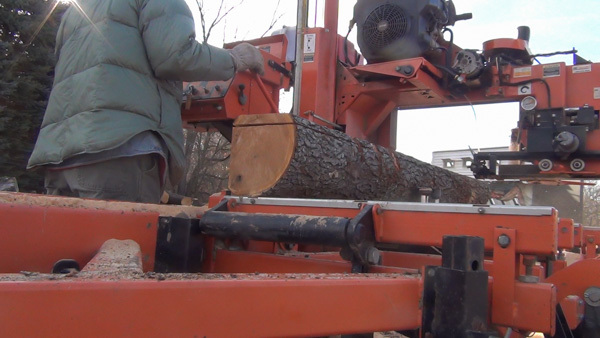 The log can then be rotated 90 degrees and reclamped against the side supports. 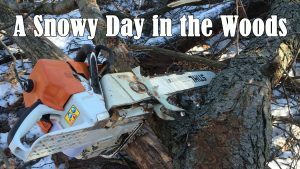 This second cut is also waste. 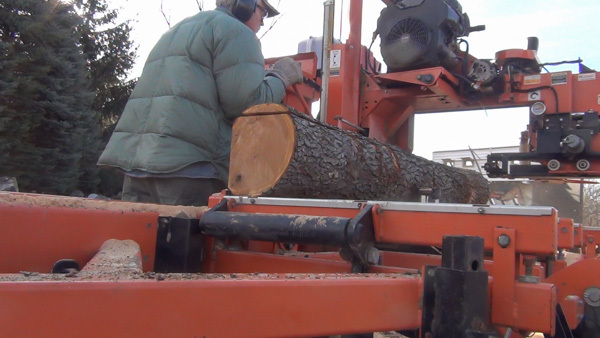 Since the second cut didn’t meet the first cut, Bruce makes a second pass on this face which produces a live edge board. We will set this aside for now and trim the edges off later. 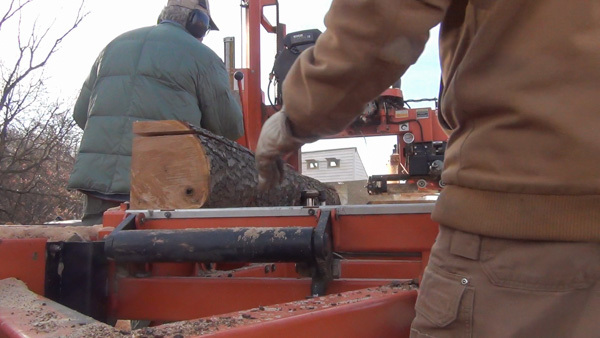 The log is then rotated a final time and we place the live edge boards in with the log. 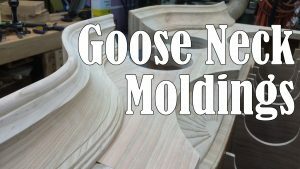 Now the mill can run back and forth producing boards and edging the other boards from before. 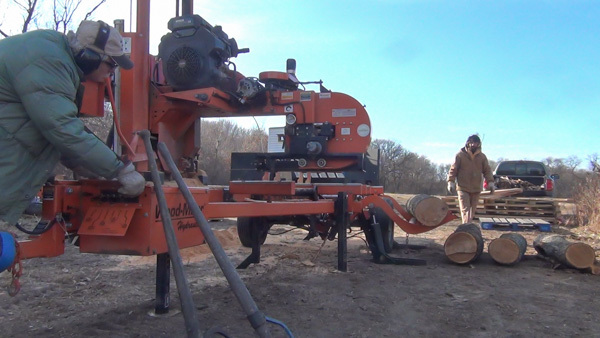 Great piece of machinery, what is the total board feet it can cut in and hour?